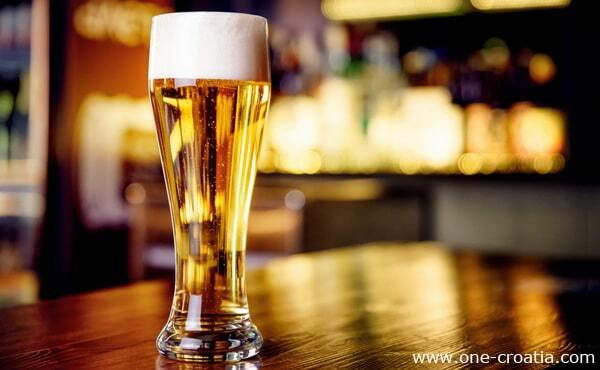 Croatia produces mainly blond beer such as Karlovačko and Ožujsko that are the two most famous beers in the country. Croatia is divided in two, on one side Ožujsko’s lovers, on the other side Karlovačko’s lovers. These are the two brands that invest the most in marketing and advertisement, that explains the reason why they are so famous. But there are many other beers to try during your vacation in Croatia. Especially from new small breweries that are popping up all over the country these last few years. Karlovačko is produced in the town of Karlovac near Zagreb. Where can we find it? In most of the bars and restaurants in Croatia. Other beers from this brand: ‘Karlovačko Rally‘ alcohol free, ‘Karlovačko Radler‘ lemon flavour. Ožujsko has been produced since 1892, the brewery is located in Zagreb. It is, with Karlovačko, the best-selling beer in Croatia. Refreshing, it has a golden color and delicate bitter aromas. Where can we find it? In almost all bars and restaurants in Croatia. Other beers from this brand: ‘Ožujsko Cool’ alcohol-free beer, ‘Ožujsko Pšenično‘ wheat beer, ‘Ožujsko Limun‘ lemon flavour, ‘Ožujsko Jabuka‘ apple flavour. Velebitsko beer has been produced since 1997 near Gospić, in the region of Lika famous for the Plitvice National park. When you know that one of the most important ingredients in beer is water, then you can imagine the quality of this beer, that uses one of the purest waters in the world. Even if it is not very well known, many consider it one of the best beer in Croatia. Unfortunately it is not always easy to find, if you are staying in the Plitvice region do not miss to try it. In 2003 it was awarded the second best beer in the world at Oxford. Where can we find it? Mainly in the region of Lika. Other beers from this brand: ‘Tamno Velebitsko‘ brown beer. Tomislav beer was created in 1925 to celebrate the millennium of the crowning of the first Croatian king, King Tomislav. It is produced by the brewery of Zagreb that also produces Ožujsko. It is a double malt beer brewed with 18% of malt extract. It has a dark color, aromas of smoked wood and a rich taste with coffee aroma. Even if it is the most alcoholic beer in Croatia according to connoisseurs the taste of alcohol is not very pronounced and it is hard to believe that it has such an alcohol content. Where can we find it? in some bars and restaurants in Croatia. Slavonia, the region known as the granary of Croatia for the culture od cereals as barley and corn, as well as the famous plant hop, had to produce its own beer. Osječko beer is produced in Osijek, the main city of Slavonia and the third largest city in Croatia. Created in 1697, it is the oldest beer in the country. With its unique taste you can easily recognize it with its brown bottle. Other beers from this brand: ‘ Osječko crno’ brown beer. It’s a total revolution happening in Croatia in the world of beer. Since the last few years small craft breweries are popping up everywhere in Croatia. I am not just talking about the region of Zagreb where there is a huge tradition, but as well as Istria, Dalmatia and even the islands! And the best part of this story is that they are making so good beers that you will just have to extend your stay to try them all! Here are the most famous craft breweries at the moment but you will for sure find many others on your way. Zmajska pivovara is a craft microbrewery from Zagreb that was rated in the Top 10 New Brewers in the World by RateBeer after its opening in 2014. American Pale Ale combined four varieties of hops that give a refreshing crisp taste with mango and citrus scent. The beer is full-bodied and has a pleasant bitterness. Porter has been voted the best Croatian craft beer by RateBeer. Try as well their India Pale Ale, and American Wheat Ale. Bujska pivovara is a craft brewery from Buje in Istria, from 2013. They produce San Servolo beers. that are non-filtered beers, with second fermentation in the bottle. Try the light pilsner San Servolo Svijetlo pivo (Czech Pilsner), and their dark beer San Servolo Tamno pivo that was chosen the fourth best Croatian craft beer by RateBeer. You can find eight types of San Servolo beer, try as well: APA, IPA, Imperial Pils, Teranino Fruit Beer, Amber Lager, and Truffler Herb Beer. After the success of the Garden festival in Tisno, the founder open his own craft brewery in Zagreb. Garden Brewery is one of the latest breweries to open in Zagreb, in 2016. Yes the name is ‘Brewery‘ in English and not ‘Pivovara‘, it was choosen by he owners who are from New Zeland and England. Garden Brewery already produces ten labels. Try the Pale ale and Session ale, and if you like dark beer try their Stout and Porter. The brewery from Šibenik produces a beer call Mihovil. It is located near the Krka national park and uses its water, one of the purest in the world. Mihovil has a second fermentation in the bottle. It is a great beer that you should try during your vacation in Croatia. Soon they will produce other beers as a Porter and Indian Pale Ale. Vunetovo is the first craft beer from the island of Hvar. It was founded in 2015 by a woman from Poland. Vunetovo is famous for the black IPA Aljaški Mrgud. Try it if you have the opportunity! There is so much more to say about craft breweries in Croatia, and the revolution is just at its beginning since new breweries are popping up from everywhere. But enough talking for the moment, now it’s time to try them all! Nova Runda from Zagreb, try their APA. Visibaba from Zagreb, try Janis Hoplin (IPA), John Lemon (belgian witbier) and Bob Barley (Porter). Varionica from Zagreb, try the Pale Ale. Daruvar Brewery from Daruvar, try the American Blonde Ale 5th element. 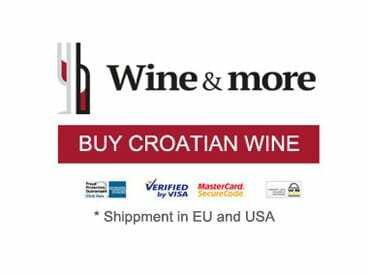 The legal alcohol limits for drivers in Croatia is 0,50 g/L.